Back in the day, I wasn’t a SNA expert but that was because almost no one was using it. Oh sure, SNA was used by all the big companies to connect their TN5250 terminals to their mainframes using SDLC but back in 1995 there A) weren’t that many companies who could afford to operate a mainframe and B) a mainframe didn’t actually do all that much other than accounting and warehousing. As a nerd, SNA was a thing of beauty. Each layer of abstraction was clearly defined, functions separated, physical and logical nodes clearly defined. For each interaction between nodes there was a separate protocol, defined and documented. But SNA was doing a very simple thing – allowing mainframes to communicate to text-only printers & terminals. My recollection of IBM Systems Network Architecture (SNA) is quite vague and hazy these days. That iss deliberate because SNA was a pile of crap and I couldn’t wait to forget it. It was so complex & difficult to actually use that TCP/IP was massively preferred because TPC/IP actually worked, could be understood by normal humans with a limited amount of training and, importantly, cost a reasonable amount of money. TCP/IP wasn’t quite as reliable on low-bandwidth links, IP Routers were not cheap back then (and, lets face it, still aren’t today) but it was good enough. Cheap & Good Enough always wins. Connection to non-SNA networks was difficult. An application which needed access to some communication scheme, which was not supported in the current version of SNA, faced obstacles. SNA network installation and maintenance is complicated and SNA network products are (or were) expensive. A sheaf of alternate pathways between every pair of nodes in a network had to be predesigned and stored centrally. Choice among these pathways by SNA was rigid and did not take advantage of current link loads for optimum speed. SNA’s connection based architecture invoked huge state machine logic to keep track of everything. APPN added a new dimension to state logic with its concept of differing node types. While it was solid when everything was running correctly, there was still a need for manual intervention. To make matters worse, very few companies could innovate on IBM SNA because everything MUST be defined. IBM retained control over defining what was allowed and stifled innovation completely. Ok. I will stop here. You get the idea. TCP/IP has problems but you don’t have to pay to have them. SNA was expensive, inflexible, complex, and was a closed standard. 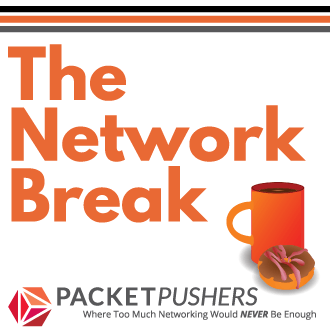 No one wants to pay for networking. 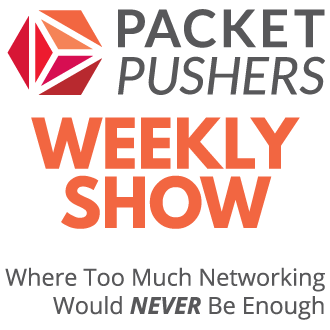 Users want to access their applications, but the network is a toll road to get there. When the toll is too high, people don’t use the toll road. Complexity in networking architectures is FAIL. Rigid and closed standards in networking FAIL. Some people look back at SNA fondly and that, more or less, is normal. Everyone eulogises a dead family member as a gesture of respect for their memory but SNA was the family member you absolutely hated and, secretly, everyone were quite pleased when it died. SDN and SNA are about as similar Model T Ford & any modern car. For the record, no drives a Model T Ford to work everyday. Stop comparing SDN to SNA. Its pointless. All of the lessons learned are certainly true enough, but SNA wasn’t *that* bad for the time and purpose. Yes, expensive, complex, and so on, but there wasn’t much of an alternative. Some of the other statements here are controversial, at least. Many companies/sites could afford mainframes. UCLA had 3, as an example: one for academics, one for administration, and one for the medical center/health care. UCLA wasn’t really an outlier if you look at, say, the old BITNET population. Many sites that couldn’t afford big water cooled, later air cooled, iron had AS/400 “mainframe,” monolithic boxes. “a mainframe didn’t actually do all that much other than accounting and warehousing,” which pretty much describes all the basic, essential business functions for a company to operate successfully in those days. SNA as awful to use: not really. It wasn’t any worse than installing and maintaining MVS, later z/OS. Yes, complex. Yes, not easy, but not actually awful. You followed the manual’s guidance and generally the (point to point) 9600bps (!) regulated phone company circuit went up and stayed up. It was a big deal and viewed as innovation when the “lightweight” IBM mainframe OS, VM, added SNA support, instead of being limited to BSC. Again, remember the time and its context. People wanted SNA, even in the academic world where research might be potting along with some early IP. The advantage of SDN that I’m looking forward to is the similar single source of truth in a controller for a site, with federation with other sites. Assuming, of course, the interoperation of SDN controllers that’s conceptually possible, but not widely seen today. I don’t miss SNA in the least. I remember getting into a dispute with an SNA architect at IBM’s RTP, North Carolina site about who would win, TCP/IP or SNA for enterprise. (I was on the IP side). And the same dispute at numerous SHARE and InterOp conferences in those days. I guess we know how that worked out, though IBM mainframe thinking, its OSes, and support programs, are still entrenched, sustaining the industry’s legacy technical debt. “The network operator in San Francisco uses a System/370 program called ‘NetView’ to manage the entire network. Now a problem develops in the communications link between the AS/400 in Pittsburgh and the System /370 in San Franciso. OS/400 automatically notifies the network operator in Sans Fransciso that a problem has been detected. This is done through an ‘alert’ message that is automatically sent by OS/400 to the computer in San Fransciso. Once an alert notifies the network operator of the problem, serveral OS/400 functions help identify and correct the problem. First, the Distributed Host Command Facility (DHCF) allows the network operator to interact with the AS/400 as if the System/370 terminal in San Franscisco was actually a remote AS/400 workstation in Pittsburgh. Using another OS/400 network management feature called Link Problem Determination Aid (LPDA), the network operator can also issue network commands to test the health of network elements (e.g., modems). Once the cause of the problem is determined, the necessary fix can be put in place. If a change to some AS/400 programming is required, OS/400’s Distributed Systems Node Executive (DSNX) provides a way to distribute and install new programs or changes directly from Sans Franscisco”. Oh that it actually worked that way. The difference between theory and practice, is that in practice it doesn’t work the way the manual says it does. Most customers never implemented, understood or used the features you mention. The mainframe people had their heads up their asses, VTAM was too complex to delegate access to networking teams so it was rarely, if ever, used. “The difference between theory and practice, is that in practice it doesn’t work the way the manual says it does”. LOL, when does it ever? Though, I’d imagine troubleshooting a modem to be a lot easier than a multi-protocol router. As I remember it, troubleshooting those “modems” or “gateways” was truly awful. Working in VTAM was diabolical and needed an expert to work it out. And no one wanted to be a VTAM expert. This thread is a bit depressing since the SNA/VTAM model doesn’t seem that much different than what the industry is now iterating toward with SDN, centralized control, with necessarily increased cooperation between the “coders for system services” and the networking group. Did the mainframe people have their heads up their butts? I guess everyone’s experiences are different, but generally the coders of mainframe system services that I’ve known worked to order within a fairly narrow mainframe centric scope and weren’t especially obtuse, just busy in their own world. I can guess that many mainframe systems staff thought that the Unix people, the desktop people, the LAN people, the WAN people (sometimes different than LAN), operations, developers, and certainly tech management all had their heads similarly oriented up their butts. How difficult was SNA/VTAM? Not that bad. The mainframe person bringing up a VTAM “path” would copy the parameters from a working config or the book(s) and, after getting an allegedly tested circuit turned over from networking, would instantiate the path with 37X5 NCP reloads. It generally worked since innovation in this area was rare. There were bigger issues with 100s of changes in the base OS regularly, using the complex SMP tool. Did anyone want to be a VTAM expert? Only if you wanted to keep your job as a z/OS systems programmer, so, yes, a few people did. Keep in mind the level of what was called expertise was defined differently since innovation cycles were long. And SNA/VTAM was an add-on to z/OS, never the main event. Rarely was someone only a SNA/VTAM person, even when Communications Server was introduced and TCP/IP was added to the menu. One did z/OS functions, and maybe VM, first, then communicated to end nodes and partners as needed with Comm Server/VTAM/TCPIP using NCP. So, all of this is a long winded way to say that centralized config as with SDN will likely have similar issues. I can conceive SDN east west people thinking the SDN north south people working above the SAL have their heads up their butts, too. I was lucky to be part of the millenials, and thankfully it was moslty IP tansport when my career started. My say on this would be that, SNA lead to the development of OSI and then the TCP/IP model. I’ve read about the times when IBM was monopolizing the market and the political wars that happened until the TCP/IP was mandated in the early 90’s and the industry moved on. SNA is not dead yet (!!!) and infact I was smiling while I was reading your post and thinking of the SNA project I was working on, a few days back. There are companies, majority of which are financial institutions and also service providers that still use and offer SNA services respectively.This either done by facilitating IP client emulation to SNA cloud connection using IP transport or it could be the enterprises connecting themselves using DLSw+ (peer to peer or hub and spoke). Either ways, I am glad that and we are at a major industry change embracing SDN and open networking. Though most of the SDN offerings are hybrid and has a vendor lock, we should be happy to see that they provide an interface to support open standards to some extent. If you think SNA and VTAM are bad, you should have been around in the days of BTAM, Bisynch and dialup.